Organza Bags and Circles. Find Organza Bags for favors, weddings and other occasions. 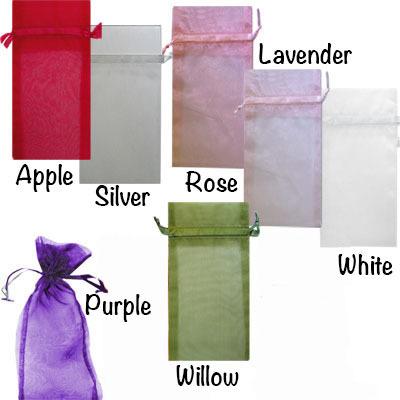 Organza Bags are perfect for jewelry bags and gift wrapping bags. These drawstring bags are partially see through which gives an elegant touch. We also offer organza circles to wrap your products and gifts.